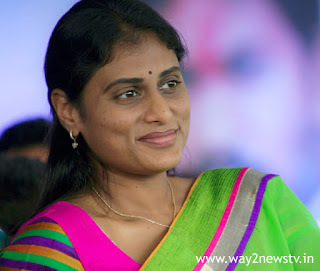 Kadapa MP Seema is going to want to be Jagan's sister Sharmila. The seat is going to be MK, on the other hand, Avinash Reddy. The situation does not mean the decision to take any decision. How can I contest Sharmila in the last election? But she did not compete somewhere. But this time she is not willing to give up that opportunity. Now it seems that Jagan is going to spill at home. On the other hand, the confrontations between the former ministers Dharmana Prasada Rao and Sitharaman in Srikakulam district began. Leader from the front of the party Then came to the Dharma. But both have nothing to do with the original. As a result, the district leaders have split into two categories. Dharmana Prasada Rao, who was the Governor of the Srikakulam district. Seetharam, Reddy, etc., have their own strength and strength. But the migration of the castes, except the oldest, is constituted by his followers in the rest of the constituencies. Reddy and Reddy are unable to intervene in the peace constituencies. The Siddarama and Reddit's of the strong Kalinga and Kapu community communities in the district became a community and the cause of the Dharmasana became a challenge. Sitharam is a constituency of the Srikakulam MP. As a result, he is applying to the Dharma followers. The leaders of the Tekkali and the Lakshmana are in high resistance. As a result, the leaders are beside them. In the past, the party has bargained for party leaders with controversies. This time it is true that victory is not easy.